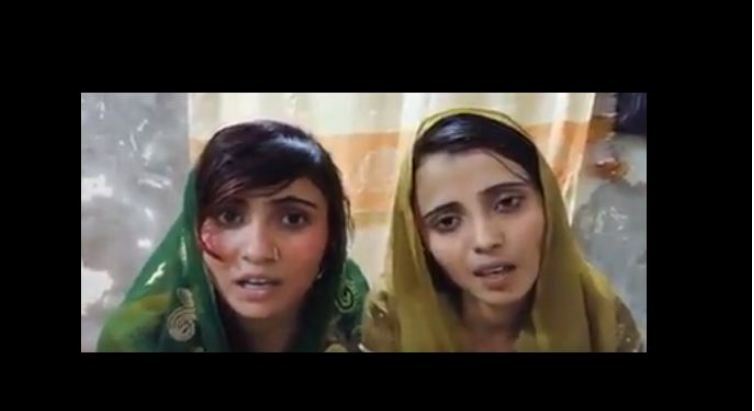 Hindu girls Reena and Raveena who were abducted from Hafiz Salman near Deharki to convert to Islam on the eve of Holi have had their conversion approved by the Islamabad High Court today. Anjuma James Paul, who was with the family, said that the family was demanding justice before the hearing at the court but hopes shattered soon after. The girl’s father Hari Lal led an epic protest creating a storm across the world leading to External Affairs Minister Sushma Swaraj and an American leader also getting involved. But once converted, a girl cannot go back as it is considered an insult to Islam and can lead to law and order situation as happened in the case of Christian woman Asia Bibi and Hindu girl Monika. Raveena who was given the Muslim name Aasia and Reena became Nadiaposte their conversion and were married to married men. Reena was married to Barkat Malik, father of three daughters, and Raveena was married to Safdar Khobar, father of three daughters and one son. The girls’ parents Hari and an ailing mother Mai Ajbi had defended the girls calling them underage. But the Sindhi girls were sent to Islamabad’s Pakistan Institute of Medical Sciences for a test following which it said that the girls were above 18 at the time they were married off to the much-married Muslim men. The first wives of these men have reportedly left their husbands angry at their participation in forced conversion of Hindu girls. Pakistani Hindus allege that after forced conversion, Hindu girls and women are forced to cut off ties with their blood relatives and then shoved into human trafficking never to be heard or seen in public again. Due to religious persecution, several Pakistani Hindus have taken refuge in India with many having been forced to condemn their converted daughters to life-long misery as it happened to the daughter of Kirshanlal Chhugalal. In short, Pak Hindu families are being torn apart with the full backing of state machinery in broad daylight.